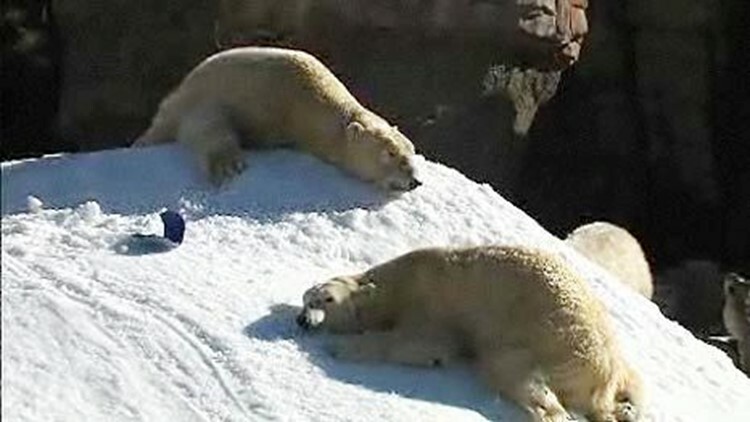 SAN DIEGO (AP) — The shrinking Arctic ice cap has prompted the San Diego Zoo to renovate its popular polar bear exhibit with global warming messages. The Polar Bear Plunge will reopen Friday after the zoo spent $1 million to add more backyard space and displays supporting cuts in greenhouse-gas emissions. Zoo officials say they are on the leading edge of a movement by American zoos to highlight the impact of climate change on animals. Biologist Megan Owen of the zoo's Institute for Conservation Research says they have a responsibility to share their knowledge with the 3 million people who visit each year. The San Diego Zoo has three polar bears — Kalluk, Chinook and Tatqiq.